I really live in the wrong part of the world, or at least the wrong part of the US. I don't care for wet rainy days and tend to start hibernating. And as much as I love the month of October, our rains usually get pretty regular about this time. Of course, most dogs don't really care about the weather as long as it isn't too extreme and I know a couple of mine would love to go for walks winter long. 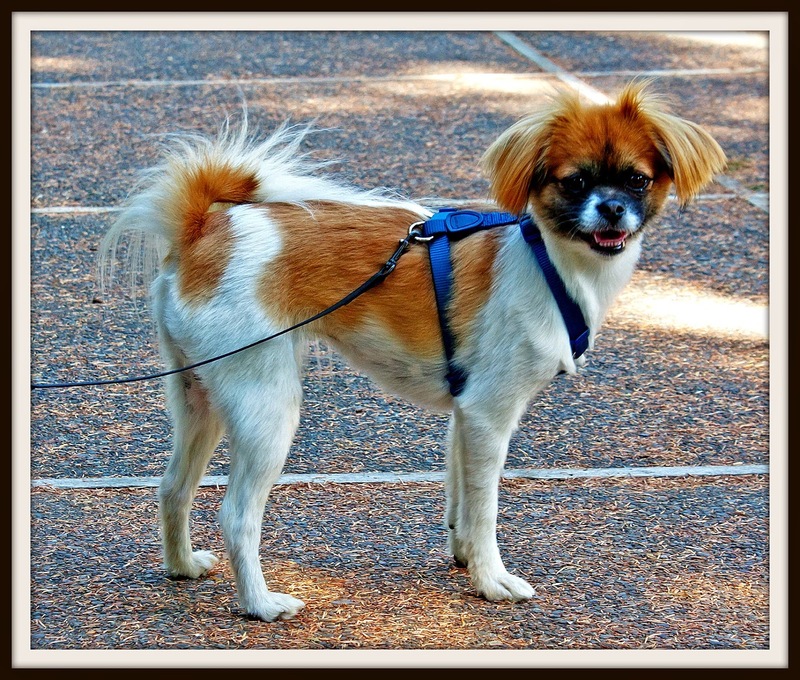 And it certainly won't hurt my waistline to add walking the dog into my activities at least a couple times a week. Most my dogs really aren't that impressed by rainy days either but I do have one that absolutely love walking at any time. And we don't do it near enough. It could become a not so guilty pleasure as I spend time with them. I could even listen to a book or podcast while I am out. Okay now I am becoming excited. So how about you? 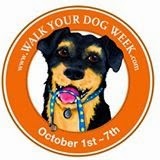 Do you plan on participating in the National Walk Your Dog week? Hi Shai, what a cute face your dog has. I hope you enjoy your walks. My dog passed away a year and a half ago and I miss him terribly. Since my life is in a transition stage right now I did not get another on to replace him. For 40 year we have had a dog or two. Walking the dog was not something that I did. I live in the country and the dog was able to just go out in the yard and run whenever he wanted and boy did he run.